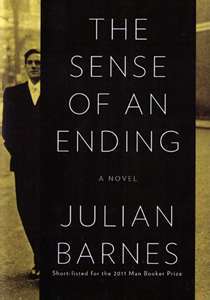 This entry was posted in Book Reviews and tagged baby boomer fiction, book review, Julian Barnes, The Sense of an Ending, women's fiction by Lynn Schneider. Bookmark the permalink. Reading your review, I want to read the book again. Hoping you will have some time when you will be back from your trip to consider reviewing my novel, starting in the same time period as this work. Not that I would compare my skills as a writer with Julian Barnes, but one has to start somewhere …. Johanna, I haven’t forgotten about our review swap. I will contact you as soon as I get back. The time period was also of interest to me, since my stories take place in the sixties through present. Thanks for commenting! Your reviews are so thorough. I too give much thought to ‘language’ of different time era’s. Being a woman of the sixties, I do not believe we ever said ‘control freak’ at that time. It sounds like a very introspective type of a book. Interesting! June, I just received a comment on this older post and saw that I had not replied to your comment, which is something that I always do. Uh! Thanks for saying my reviews are thorough, I sometimes see the reviews of others and think – that is so good, why didn’t I realize that, so I’m glad to hear it. I did enjoy the trip, except for the pickpocket part. Hi Lynn, How are you? Thanks for reminding me to read this book. It actually won the Man Booker in the end; the prize is the Commonwealth equivalent of the Pulitzer so it receives lots of attention in Commonwealth countries such as Australia and Canada. My all time favourite (or favorite!) Man Booker winner was The Blind Assassin by Margaret Atwood. This really is a wonderfully written novel, as you can probably tell by the excerpts I have included, and these are just an example. I am going to check out your recommendation of The Blind Assassin. Thanks for stopping by, and hope everything is okay in your hemisphere. I just read this book, based on your review. I liked it a lot, but had the same issues with it that you did. I felt betrayed, since it was simply illogical for Victoria to expect him to “get it,” and the letter was out of character. I also thought Adrian’s character needed further development. But it was well written and reflective. I admired it sufficiently to take another Barnes book from the library, which I am just starting: Arthur & George. Nancy, I think in the case of this novel, I accepted a lot of what I considered to be flaws in favor of the beautiful writing. I really did love the internal dialogue of Tony. I think you are right about Adrian, we really didn’t know much about him. Let me know about Arthur & George!